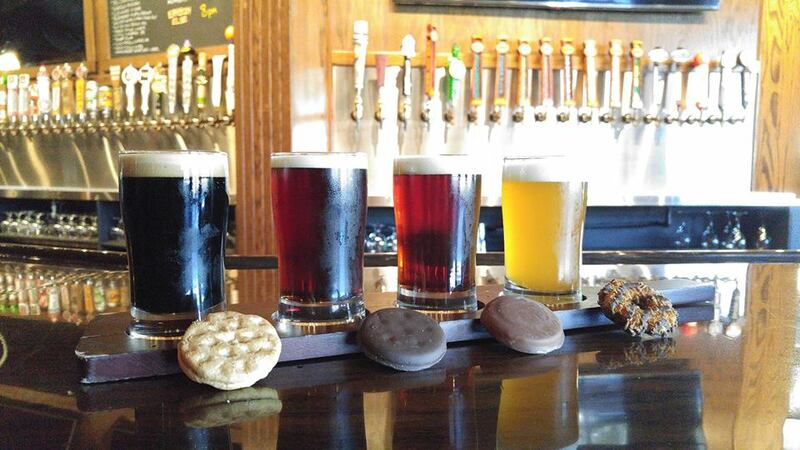 Girl Scout Cookie Beer Pairings | What's Brewing? This week, we will touch on a favorite annual treat, the Girl Scout Cookie, and how its many varieties can pair very nicely with craft beer. Thin Mints– Ah, the most popular cookie in the jar! What else could pair better with this American original than the beer that was the favorite of many of our Founding Fathers, the Porter! Let roasted and chocolatey accents perfectly compliment this, the Queen of Cookies. Samoas– This wonderful little cookie features the tropical note of coconut, which pairs perfectly with the fruity and yeasty esters provided by a well-brewed hefeweizen. Do-si-dos– The rich oatmeal and peanut butter brought to the table by this cookie can only be paired with the silky smooth, yet deeply developed notes of a great oatmeal stout. 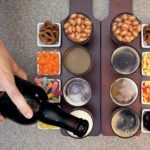 Tagalongs– The lovely sweet notes of vanilla and peanut butter will hang around like a little brother when walking hand-in-hand with a nutty brown ale. Lemonades– The bright citrus from lemon along with the mouth-filling crumblings of the shortbread will be perfectly complemented by the citric and lactic acidity and dry-finishing refreshment provided by a Berliner Weisse. Trefoils– Allow the bready sweetness of the shortbread cookie to be swept down the river of your palate with a light and bright American Wheat Ale. Thanks-A-Lots– Soft cookie and rich chocolate are begging (canâ€™t you hear them?) for you to adorn them with your favorite Imperial Stout. Everyone loves warm cookies, so warm these up with a warming ABV. Cranberry Citrus Crisps– Help the fruit pop right out of this cookie by pairing it with a crisp brew- a Hard Apple Cider!